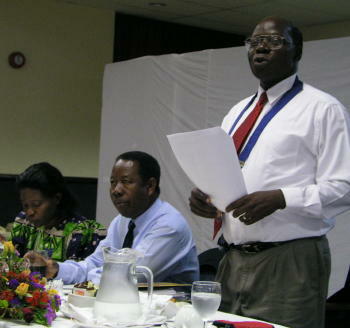 Districts 9210 and 6560 were involved. 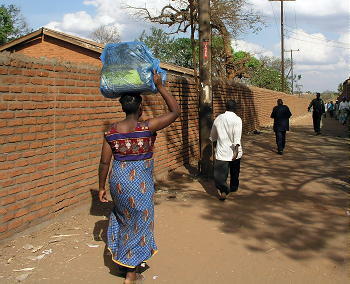 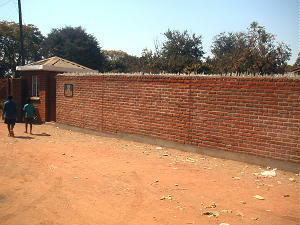 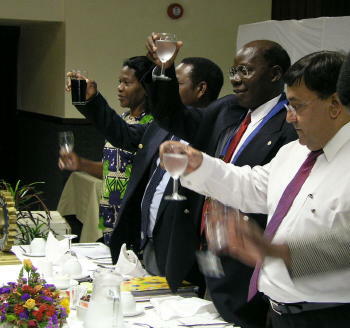 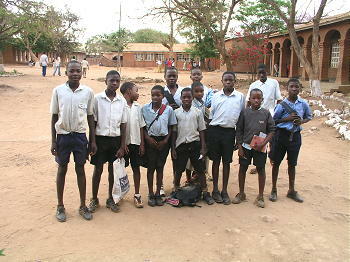 On July 14, 2006 the Lilongwe Club sent the first photo of the "fence." 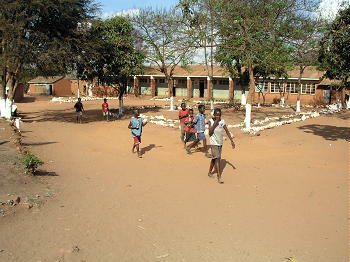 The school which has 1000 students and 25 teachers had suffered a lot of vandalism because an increasing number of people passed through the school campus from a new development in Lilongwe to the city. 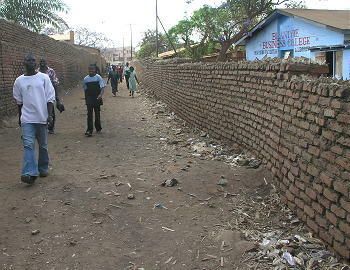 The school is located between the main town center and the peri-urban township/squatter areas of Mnchese, Kawale and Chillinde. 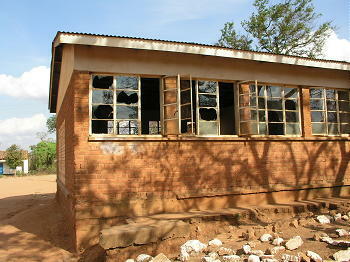 The school has been vandalized to a level where there is no glass in the windows, all school furniture has disappeared, and all classes from standard 1 to standard 6 sit down for the their lessons. 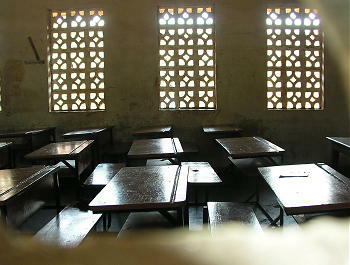 Only the secondary school has a few pieces of furniture and even then some pupils have to stand while others prefer to sit down. 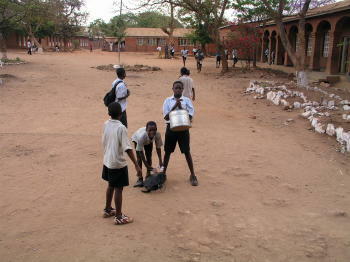 The situation was critical. 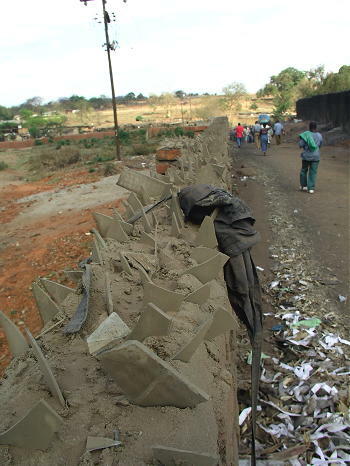 It was necessary to build a wall or as they call it, a fence, around the school to protect it from the workers to and from town. 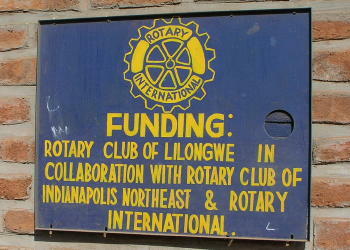 Rotarian Victor Kubik along with his wife Beverly traveled to Malawi in September 2004 on a Rotary Individual Grant to assess any new projects and check on a previous Matching Grant project which provided two ambulances for two LifeNets clinics in Lilongwe and Balaka. 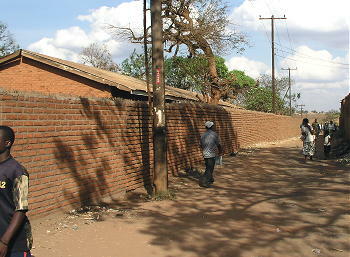 While visiting the Lilongwe Rotary Club a proposal was brought forward by Rotary president Bernard Zingamo to build a 500 meter six foot high wall to keep people from passing through the campus and damaging it further. 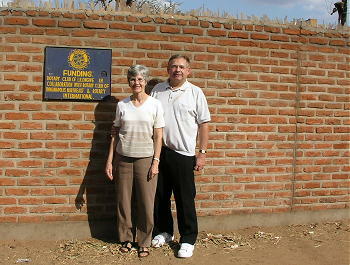 On November 21, 2005 the grant was approved and the wall was finished by summer of 2006. 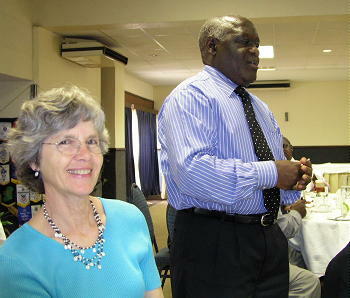 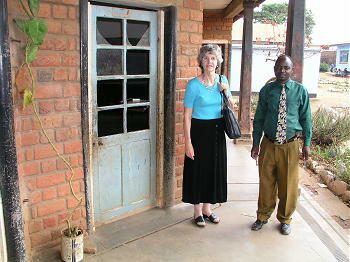 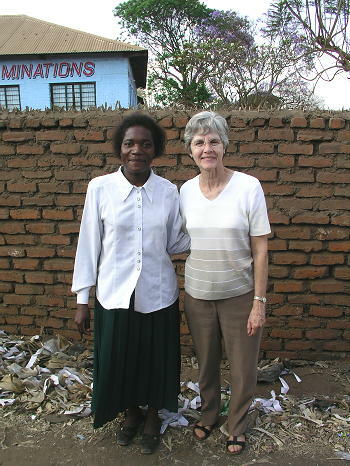 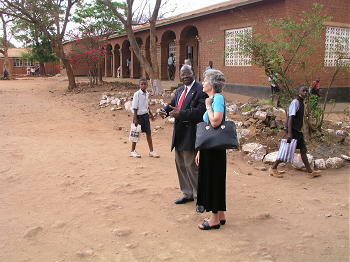 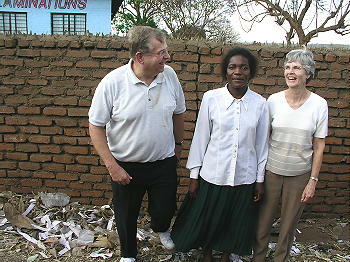 Victor and Beverly Kubik then visited Malawi in September 2006 and took these photos on September 29th. 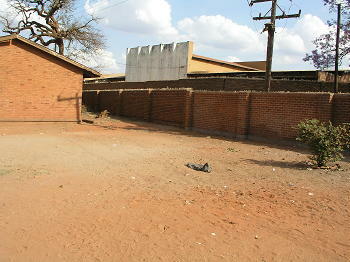 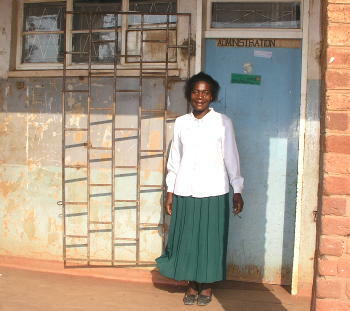 School Head Mistress Hilda Kuhndi thanked our clubs profusely for the new wall! 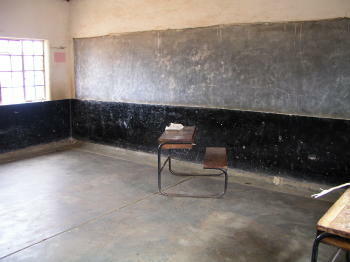 The children have desks the first time in years. 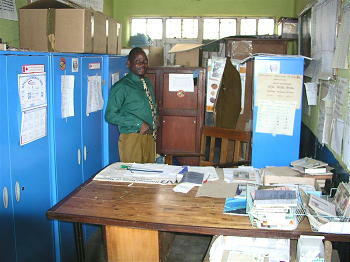 The previous ones were stolen and cut up for firewood.